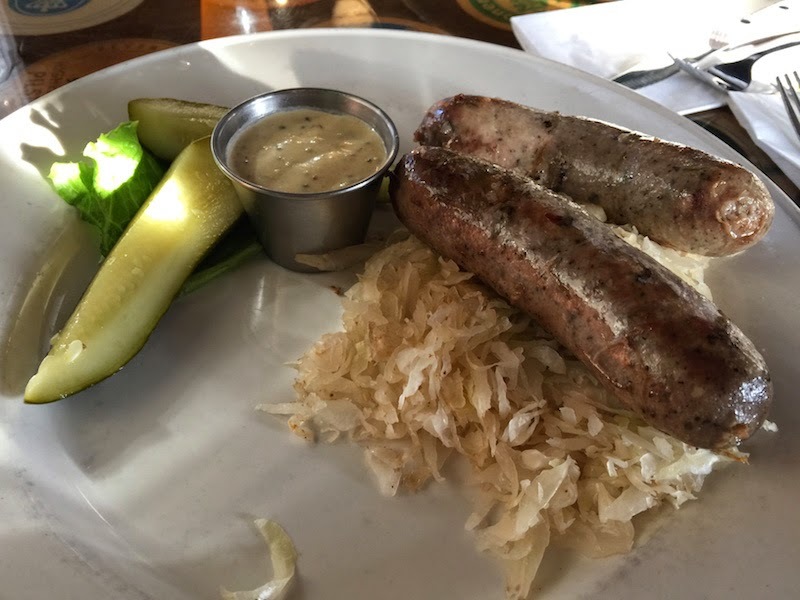 The Bier Stein was voted #1 Best Beer Bar on the West coast, and I can see why -- it has a huge selection of beer, and food that is as good as any restaurant. The lively college town crowd adds to the fun. 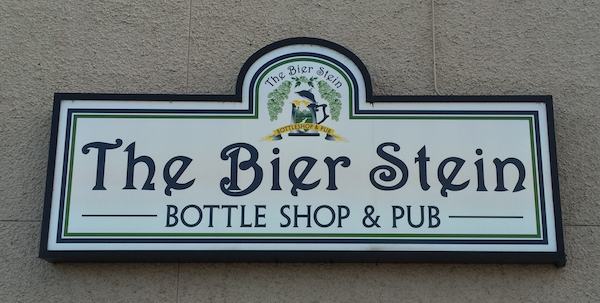 See more pictures and read my full review of The Bier Stein in Eugene, Oregon after the break. 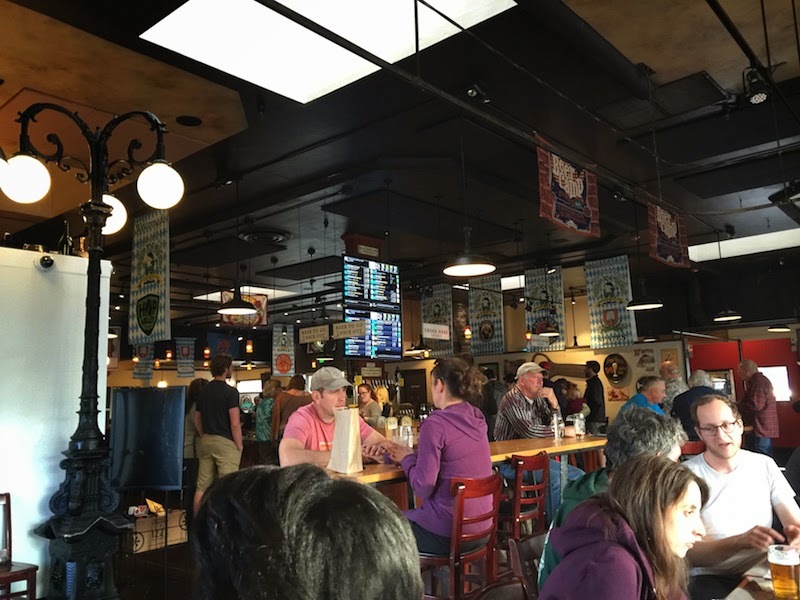 Eugene is home to the University of Oregon and its Ducks athletics teams, so you'll find plenty of college students and their parents enjoying the beer and food at the Bier Stein. The places is really big, with some patio seating as well, and even so the place was packed early on the Saturday evening my wife and I dropped by for dinner. Head right to the counter to order your food and beer. 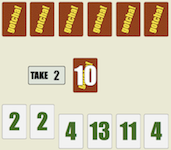 Grab your pitcher and glasses, and take your number to your table. The food arrives at your table pretty quickly. And it's good food, too. It would need to be for the Bier Stein to get it's #1 best beer bar rating. 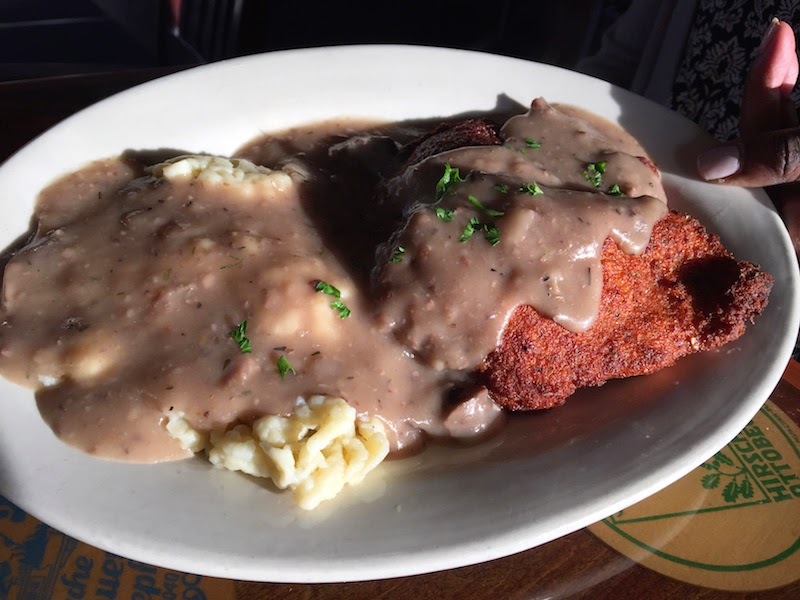 The pork schnitzel was fried very nicely, and the gravy was flavorful. TIP: Enjoy a walk around downtown Eugene after your lunch or dinner. It's a friendly, clean college town with plenty of college eats and shops. There's jazz clubs, too. ANOTHER TIP: If you find you need a stiffer drink, walk down Willamette Street a few blocks to the Downtown Athletic Club. It's open to the public. Go up to the Ax Billy Grill & Sports Bar where you'll find comfortable seats, a full bar, and friendly staff. The next time I eat at The Bier Stein, I will try a bowl of the Bier Cheese soup as it is highly recommended.